We could do a year of shows devoted to all things IRA and there would still be questions. They are confusing so here is a bit of a refresher on the basics. IRA stands for an individual retirement account. It’s a tax-advantaged investment vehicle to save for retirement. There are several kinds, including SIMPLE, SEP, Traditional, and Roth. The last two are the ones we will be talking about today and the two that are most commonly used. A traditional IRA lets you invest pre-tax income into an account that will grow tax-deferred. The money is not taxed until you withdraw it. You can withdraw funds after age 59.5. Putting money into a Traditional IRA lowers the amount of taxable income for the year you made the contribution. Not only does it lower you adjusted gross income, doing so can help you qualify for other tax breaks like student loan interest deductions or child tax credits. A Roth IRA is similar to a Traditional, but the money is taxed up front and not upon withdrawal after age 59.5. Roth contributions (but not earnings) can be withdrawn without penalty and tax-free at any time. After five years have elapsed after the first contribution, you are allowed to withdrawal up as much as $10,000 of the earnings penalty-free to pay for certain qualified expenses. Both Traditional and Roth’s have the same contribution limits, $5,500 per year for 2016 ($6,500 if you’re aged 50 or older.) But there are income limits for high earners. If you’re single and earn over $129,000 or file jointly as a married couple and earn over than $191,000 you are forbidden to contribute to a Roth IRA entirely! Withdrawals from a Traditional are considered regular income, and if you are younger than 59.5 when you make the withdrawal, the amount you take out will be hit with an early withdrawal penalty of 10%. You can pull contributions to a Roth anytime without tax or penalty. The rules for earnings are different. If it has been less than five years since your first contribution, you may be taxed on earnings even if the funds are used for one of the exceptions described below. You can use up to $10,000 from your Traditional or Roth IRA toward the purchase of your first home. You can use IRA money to pay for higher education expenses not only for yourself but also for immediate family members (your spouse, children, and grandchildren). There is no dollar limit. You can make withdrawals to pay for unreimbursed medical expenses if those expenses are more than 10% of your adjusted gross income, or to pay for health insurance premiums for you, your spouse or children during a period of unemployment. If you expect your tax rate to be the same in retirement or higher than it is now, the Roth IRA is a stronger choice. A traditional IRA makes more sense if you expect your tax rate to be lower in retirement. But what if you could have the best of both worlds? There are not many scenarios in life that allow us to have our cake and also to eat it, but the MF has figured one out when it comes to IRA’s. The best reason to roll an old 401K into an IRA is that there are a lot of hidden fees in some 401k’s and the investment options are limited. You can’t do a rollover until you’ve left that job or retired altogether. Just be sure to choose an IRA with low fees. A 1% difference doesn’t sound like a lot, but it can add up to thousands of dollars over the course of time. You can’t control the market so focus on what you can control, fees. It’s also just easier not to have your retirement money spread all over the place. 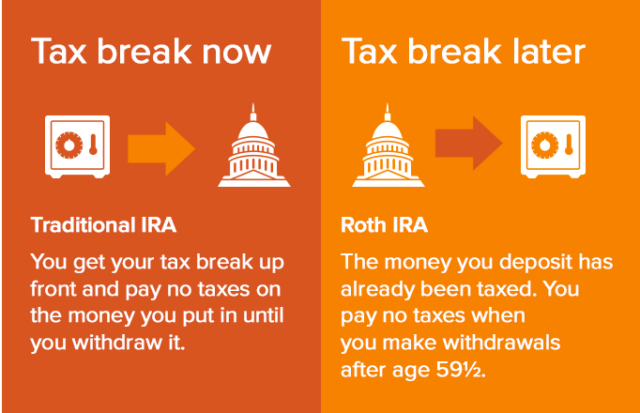 When you put money into a Traditional IRA, you weren’t taxed. When you take money out of a Roth IRA, you aren’t taxed. You are taxed at the point of a rollover from Traditional to Roth. After five years you can withdraw the principal penalty free. The growth can’t be withdrawn without penalty until age 59 and a half. Putting money into a Traditional IRA helps to reduce your taxable income. Remember, we always want to save on fees and taxes whenever we can. At the height or your career, when you are taxed at the highest rate you will ever be taxed at, it makes sense to reduce that as much as you can. But if you’re making bank, reducing your taxable income by the measly $5,500 IRA contribution limit isn’t going to do much for you. That’s where these various IRA strategies come in. Both types of IRA’s are used at different stages of life to reap the most tax benefits possible. 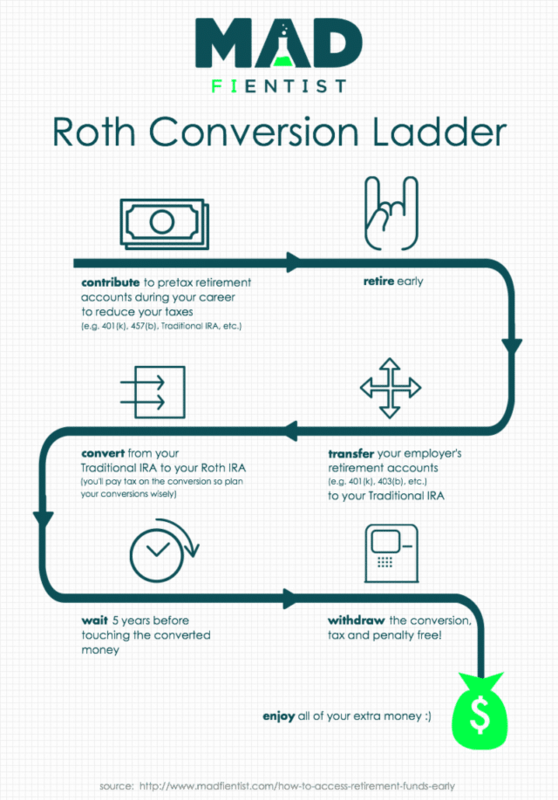 Brandon has a method for this, the Roth IRA Conversion Ladder. You contribute to a Traditional IRA during your working life because it’s likely that your tax rate is higher now than it will be after retirement. During this time, you live off your capital gains and dividends because they are taxed at 0% so long as you’re in the 10 or 15% tax bracket. For 2016, anyone making less than $9,225 is in the 10% bracket, and anyone making between $9,226-$37,450 is in the 15% bracket. 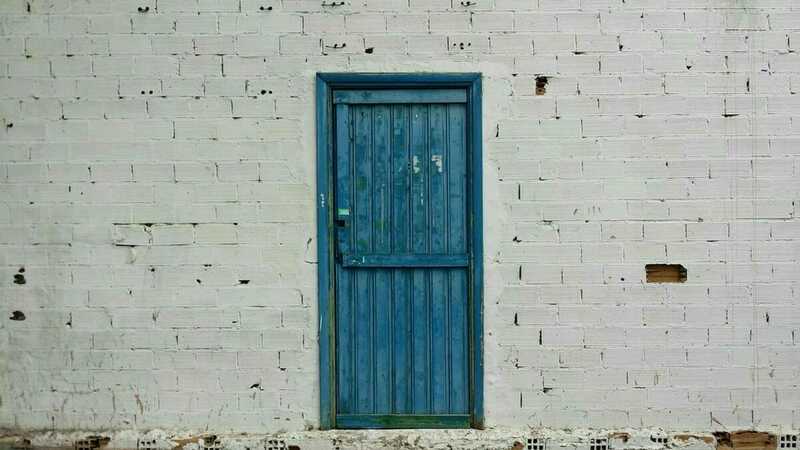 The backdoor IRA strategy deals with contribution limits. When you roll the money over from a Traditional to a Roth IRA, the rollover amount doesn’t count towards contribution limits. This one simple trick allows high earners to get around income limits. But there is no income limit to contribute to a non-deductible Traditional IRA. Those are taxed coming in and going out although it grows tax-free. Now, this sounds like a terrible investment and generally, that would be true. But it’s the fact that there is no income limit that makes it work in this scenario. A high earner will contribute to this IRA and then immediately roll it over into a Roth. If you don’t do it immediately and you earn some gains, you’ll be taxed on those. There is no limit to the amount of money or number of times you can do a rollover. Now for the MEGA backdoor IRA. The limit to contribute to a 401K is $18,000. If your employer matches, that doesn’t count towards your limit. Those contributions are both pre-tax. The overall max, though, is $53,000. The after-tax portion is taxed coming and going. You can convert the deductible portion separate from the deductible portion. The deductible would be into a Traditional and the non-deductible to a Roth. The growth in the Roth won’t be taxed. This strategy can give you an extra $35,000 of Roth contributions a year. If you plan to work up to or beyond traditional retirement age, it’s not as advantageous because you are earning and being taxed at a high rate for a long time. This strategy is for those of us who plan to retire early and live off our retirement income. This is a lot of information, and if you don’t have a desire to retire early because you love your career or you are just afraid you would get bored, you can skip all this. But if it is your dream to retire early or you just like getting all of the tax advantages you can, this is a great plan. You can have more money without having to make more or spend less. Every personal finance nerd’s dream! The Mad Fientist: Track your progress towards financial independence. Roth Limits: The IRA table showing allowable contributions. After-Tax Contributions: The MF’s article explaining mega backdoor.